The Osamu Tezuka Story is, like Tezuka's body of work, a gigantic, awe-inspiring thing that both stuns and entertains. Part corporate/pop cultural history, part struggle of the artist as a young, middle-aged, and older manga-ka, the book delivers four decades of the manga publishing world and the life of its most popular creator, whose work impacted Japan and the world. As a bonus this book and its 900 pages also deliver a great upper body workout. Because... it's big. Readers already familiar with Tezuka's exports like Astro Boy, Kimba The White Lion, Black Jack, Adolf, and Phoenix will enjoy seeing the creative struggles behind their favorites, and if they weren't already aware of the punishing demands of a professional manga artist, Tezuka's tireless pace and unstoppable mania for creation will dumbfound. The Osamu Tezuka Story details how habits of hard work were fostered early in Tezuka's life. The Osaka-born Tezuka found inspiration in the discipline of long distance running, a lifelong passion for music, movies, and insect collecting, and a love of cartooning encouraged by the adults in his life. 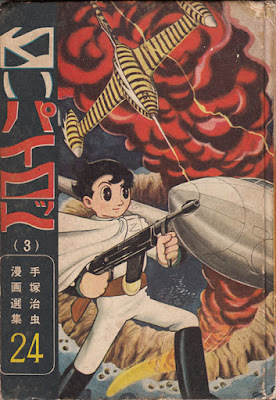 The demands of Japan's wartime culture would, in Tezuka, result in an amazing ability to focus on tasks and maximize his own effectiveness, to juggle several different challenges at the same time, and to deliver results in widely disparate fields – talents that would serve him well in surviving the rigors of the immediate postwar period, breaking into the children's manga field and, at the same time, interning as a medical doctor. Try it sometime, kids. Choosing comics, Tezuka found himself in the center of a postwar children's magazine boom. Tezuka's Shin Takarajima, or "New Treasure Island", created with Shichima Sakai, would be a breakout hit for Tezuka. The 50s manga explosion produced an entire generation of young manga artists, battling their punishing schedules and occasionally relieving stress with three-day blowouts. Future manga stars like Shotaro Ishinomori, Fujiko-Fujio, Fujio Akatsuka, and Leiji Matsumoto appear in Tezuka's orbit as young hopefuls. Did Tezuka give his young manga acolytes aphrodisiacs to fuel their late-night manga sessions? Read the book and find out! A popular talent feeding the pop culture needs of millions of Japanese children, Tezuka would find himself working on eight stories for eight different publishers simultaneously. 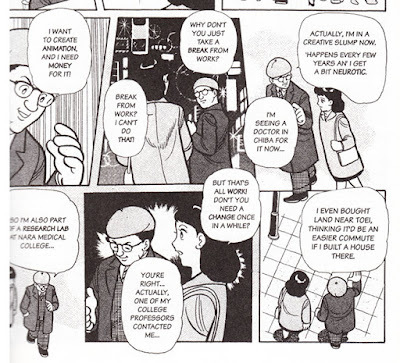 Editors would haunt Tezuka's foyer fighting for priority, sometimes confining him to a hotel or, failing that, forced to track him down from place to place to beg for pages. Tezuka's organizational skills allowed him to direct production teams, with Tezuka outworking even his most dedicated assistants, and he developed a complex system to indicate to assistants the kinds of crosshatching, shading, backgrounds or environmental effects for each panel. He could direct the composition of manga pages from another room or, as communications technology improved, from another city entirely. 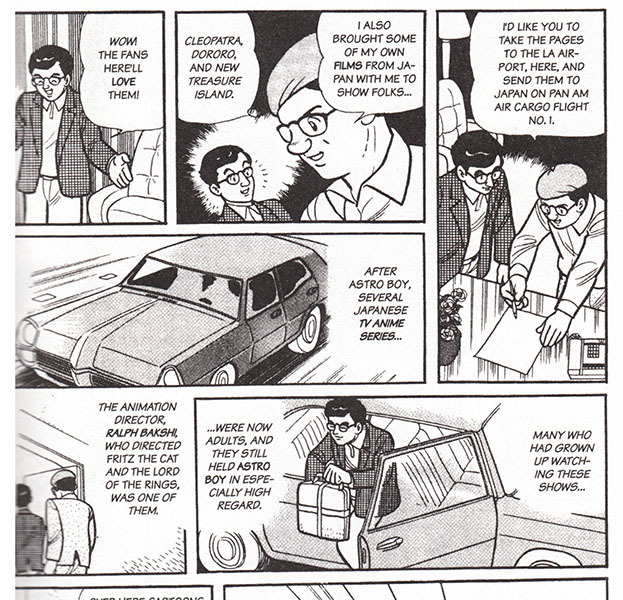 The late 1950s appearance of more adult "gekiga" manga challenged the competitive Tezuka to create works with more adult themes and a more realistic art style. At the same time he was working with Toei Animation on the feature length Son Goku film Saiyuki ("Journey To The West", known in America as "Alakazam The Great"). Soon Tezuka was pouring his manga profits into his other love, animation. By 1960 Tezuka had developed a production system for working with assistants and editors, had completed his doctoral thesis, had written a live-action TV show, and was embarking on his own animation production, with facilities purpose-built into his new home. 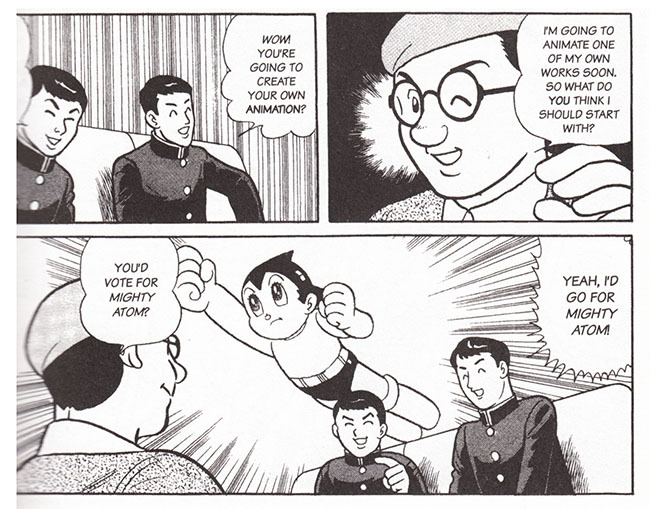 Showa-era anime buffs will be interested in the production details of Astro Boy and early shorts like "Drop" and "Pictures At An Exhibition", and fascinated by Tezuka's cost-cutting animation choices, choices that are still felt today. Tezuka's obsessive filmgoing paid dividends as he utilized cinematic techniques like montage and cross-cutting to inexpensively and quickly emphasize drama. His already overstuffed work schedule became even more hectic; story conferences would be informal, Stan Lee-style verbal exchanges where Tezuka would describe the plot and the main visuals, leaving the layout & genga for staff artists to complete. This would expand to a shift system that worked around the clock. His corporate structure split and split again, with one company handling his TV animation, one company handling his licencing, and one for his manga publishing. early 1960s hardback "White Pilot"
Tezuka's kingdom would, like the rest of us, be battered by the shocks of the 70s. 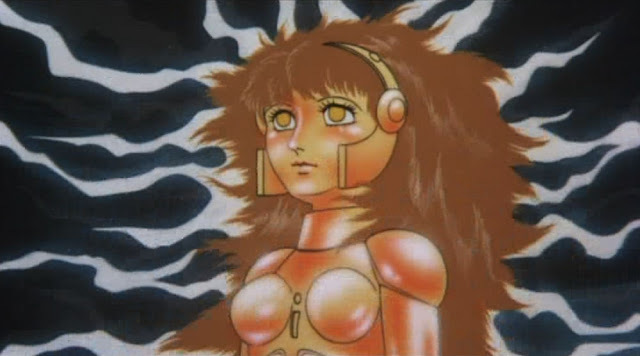 The decade would see his animation studio go bankrupt and Tezuka struggle for creative relevance in the face of personal and professional crisis, leading him to innovate new manga for children and adults and make global connections that will take him to China, Europe, and Los Angeles' nascent Cartoon/Fantasy Organization. Tezuka's animation would rebound, inaugurating a series of yearly TV specials for NHK and production on experimental, artistic works. Sequestering himself in a private studio, the decade saw Tezuka working harder than ever, inspired by deadlines and pressure yet never abandoning his painstaking attention to detail. Anime fans will appreciate the research and technical challenges he and animator Junji Kobayashi faced in creating the opening scene from his film Phoenix 2772, a dramatic "one-take" shot of differing camera angles and perspectives that took two full months. Kobayashi would later be instrumental in creating Tezuka's award-winning 1984 masterpiece, "Jumping." Throughout the 1980s Tezuka continued his Phoenix manga, pushed ahead with new manga like Adolph, Neo-Faust, and Ludwig B, visited France and Brazil, produced a new color Astro Boy TV series, achieved animation awards and manga awards, and continued his all-nighters and his deadline struggles up to and through his increasing health problems. Osamu Tezuka would pass away in 1989 at the age of 60, an age that these days seems far too young. However, in those sixty years he filled every day to the fullest, leaving a life's work unmatched in any field, a life's work the 900 pages of The Osamu Tezuka Story can only begin to describe. Toshio Ban's artwork is friendly, clean, photo-referenced to the hilt (some of the original photos can be seen in Helen McCarthy's excellent The Art Of Osamu Tezuka), and close to Tezuka's own style but not so close that the bits of Tezuka's own work seen occasionally don't stand out as wildly individualistic. 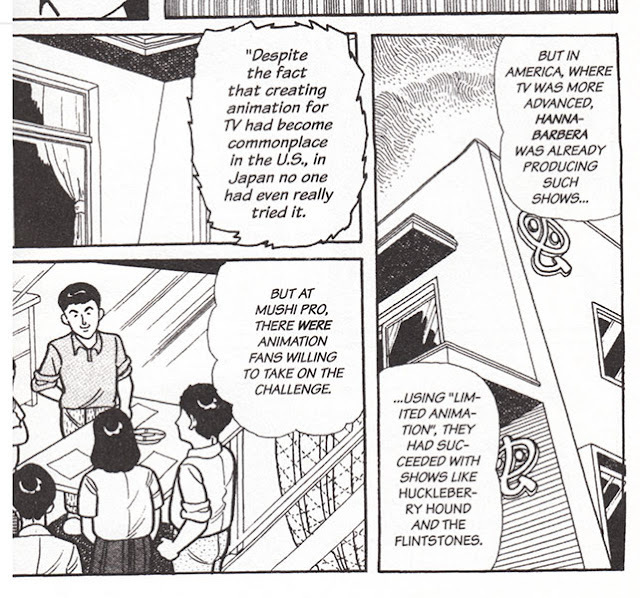 The Osamu Tezuka Story proves Tezuka's own thesis of the universality of cartooning as a visual language, reminding us all of the vast market for educational, vocational, historical, and otherwise informational comics, a market that Japan has embraced wholeheartedly while the rest of the world makes do with Ikea assembly guides and comics about military courtesy or Dagwood's mental health problems. Frederik Schodt's adaptation grapples with entire lifetimes and cultures, world wars, Japanese educational and medical institutions, the ins and outs of the manga industry, right down to specific animation techniques and obscure Japanese insects, yet never fails to keep the material relevant, interesting, and accessible to the general reader. 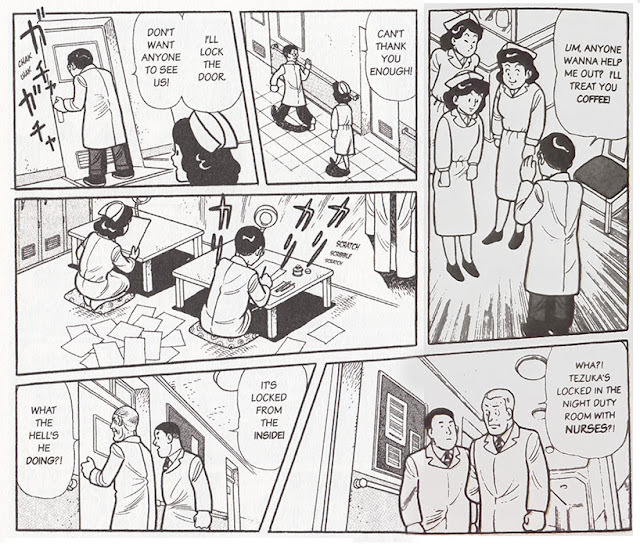 Schodt served as Tezuka's translator on some of his American visits, giving us the unique situation where a translator is translating scenes of himself translating. Time really is a flat circle, I guess. Every once in awhile the book feels the need to emphasize Tezuka's genius by describing his otherworldly excellence in fields unrelated to manga; astounding onlookers by mastering "extremely difficult scores" without any formal piano training, memorizing phone numbers, dictating telegrams, comprehending highly specialized texts, and caricaturing classmates from memory. Listing these prosaic "achievements" only adds a hagiographic tone to the text, and anyway, they're completely overshadowed by the tremendous achievements Tezuka actually did achieve in his actual recorded career. Published as it is by Tezuka Productions, The Osamu Tezuka Story has a definite focus on the positive. 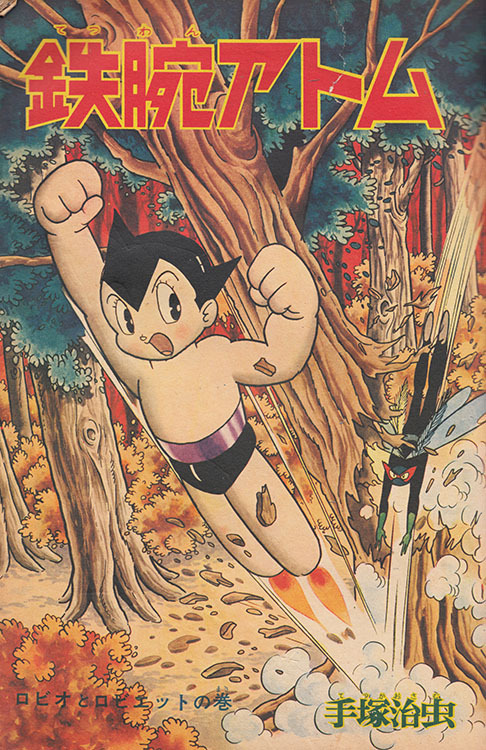 The bankruptcies of Mushi Productions and Mushi Pro Shoji in the 1970s are mentioned but explanations are vague; the copyright disputes that kept Astro Boy out of the public eye for years are only touched on briefly, and some misfires - like the 1950s live action Astro Boy TV series that Tezuka later briefly pretended didn't exist - are not mentioned at all. 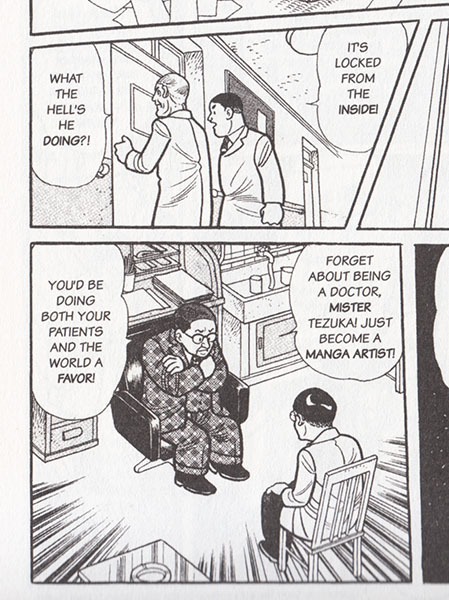 And while some readers may at times want a franker, more candid account of Tezuka's life, let's face it, that isn't what corporate biographies are about; "Tokiwaso Babylon" this ain't. 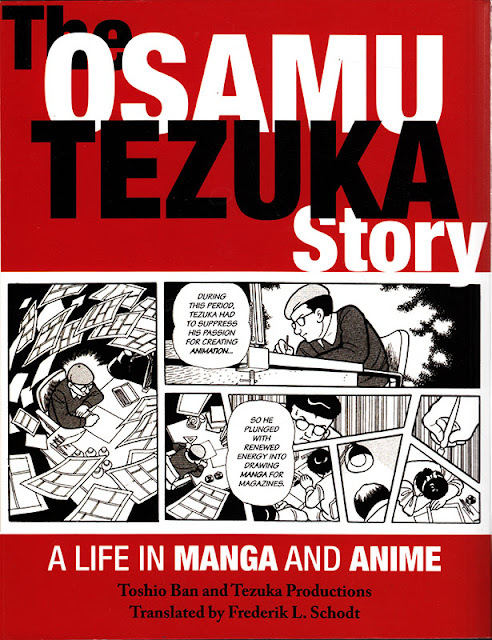 What The Osamu Tezuka Story is, is a comprehensive look at the life of someone who always worked harder, who always thought he could do better, who was surrounded by amazing talent and used that rivalry to spur himself to greater efforts. It's the life of a man who survived war and occupation and disease and who lived to create, every minute of every day. A man who built studios and empires and tore them down and built them up again, because he never stopped creating. A man who could tell you the names of the stars in the sky and the names of the bugs in the dirt, and then stay up for three days drawing comics, because that was what he was, a creator. 28 years after his passing, his work remains popular and influential as reissues, remakes, and new visions bring his characters back to life. Western audiences have enjoyed their own Tezuka boom with his manga appearing here in ever increasing numbers. 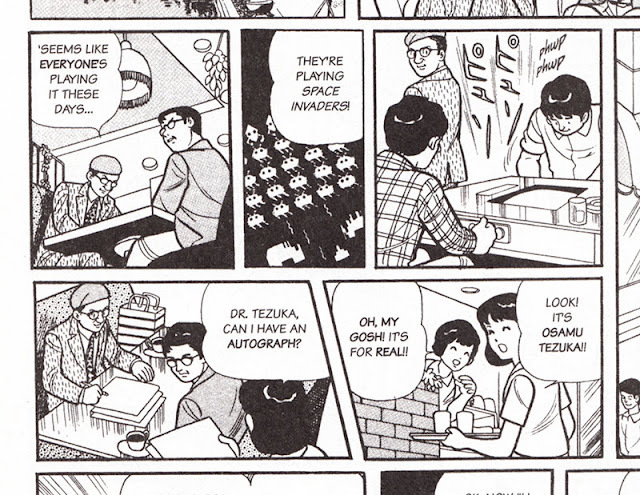 And with The Osamu Tezuka Story in English, we can more fully understand every part of Tezuka's boundless genius.